Note: 2 CDs and 1 DVD. This might just be my favorite album of the 90s. Britpop just doesn't get any better than this. This band and this album seemed to come out of nowhere. This album put them all over the British press. It ended up on many end of the year lists. I think I probably didn't first get into this album until late in 1993. Even though it was released in March. "Metal Mickey" was the first song I heard by them. And the first time I head it was when I saw the video. So it just really hit me over the head. I really couldn't believe how awesome they were. I loved everything about them. And I don't even really think I fully understood what I was watching. I didn't know how important this band would become to me and my friends in the following years. But I knew that I loved it. This album is just one of those perfect albums that defines the era. It is often thought as the album that started Britpop. This album was the fastest selling debut album in British history. The album included "Metal Mickey," "So Young," "Animal Nitrate," "The Drowners," "Sleeping Pills" & "Pantomime Horse." I can honestly say that I love every song on this album. It was such a fun and completely new sound for me at the time. It was somewhere between an album by David Bowie and The Smiths. But it was really like nothing I had heard before. They were like my new Duran Duran. They would go on to release Dog Man Star in 1994 & Coming Up in 1996. Those first three albums are an essential part of my music collection. They released two more albums after that. I saw this band live a couple times over the years. They were one of my favorite bands to see live. They really conveyed the magic of those albums live. This is also one of my favorite album covers of the decade. I always thought it was two dudes on the cover. But I found out years later that it was a drawing of two women! It was an androgynous cover that you could really imagine to be whatever you wanted it to be. This album featured in Brad’s Best Albums of 1993 blog. 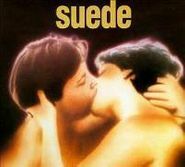 Digitally Remastered and Expanded edition of Suede's debut album from 1993. Includes original album and an extra disc of outtakes and b-sides and 2 unreleased songs. Also includes a NTSC/region 0 DVD of the original concert film Love & Poison.